Do you know about the benefits of dental implants? The truth is, they can give you a smile that is virtually indistinguishable from having natural teeth. When you choose dental implants, you are on your way to a beautiful, natural-looking smile that will make you proud to show it off. Dr. Edward Yates at Norwich Aesthetic Dentistry in Norwich, CT, offers dental implants to give you an impressive smile. If you are missing one tooth, multiple teeth, worn dentures, or partials for a long time, dental implants can give you back your strong, beautiful smile. Natural beauty, because dental implants look just like natural teeth. The implant crown material is light-reflective and looks just like natural tooth enamel. 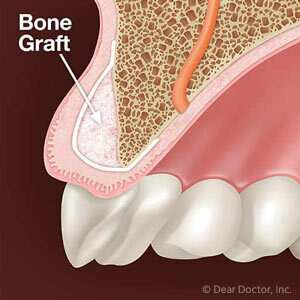 Stability, because dental implants are firmly embedded and surrounded by bone; they will never move around. Convenient, because you never have to take them out; they are a permanent part of your smile. Easy maintenance, because you brush and floss them right along with your natural teeth; dental implants make it easy to have a healthy, beautiful smile. When you choose dental implants, you are choosing the most successful surgical implant, with a success rate over 95 percent, according to the American Academy of Oral & Maxillofacial Surgeons. You deserve to enjoy the many benefits of dental implants. You deserve a beautiful, strong smile that will enhance your looks and your life. To find out more about the benefits of dental implants and other restorative, cosmetic, and preventive dental services, call (860) 889-6445 to get started on your impressive smile with dental implants with Dr. Yates at Norwich Aesthetic Dentistry in Norwich, CT! Discover the amazing technology behind this long-term tooth replacement. Losing a tooth is upsetting, but luckily we live in a world in which our Norwich, CT, dentist Dr. Edward Yates can provide the next best thing to a real tooth. In the past, the only option was to get a dental bridge or dentures, but dental implants boast an array of unique and wonderful benefits for the wearer. After all, they really do function and look just like a real tooth. Find out more about the different kinds of dental implants available in Norwich, CT. If you are only missing one permanent tooth then a single implant is all that’s needed. This implant is often placed into the jawbone where, over the course of several months, the tissue and bone will naturally fuse together with the implant to become one permanent structure from which to then support a dental crown. A dental implant is made up of three parts: the metal post (the implant itself), an abutment and the false tooth (or teeth). There are different styles of implants and some come with a built-in abutment and some do not. 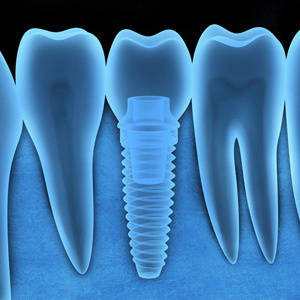 We will help you determine the best implant style to fit your needs. The purpose of an abutment is to sit on top of the implant and to connect the implant with the false tooth (the visible portion of the restoration). Even if you are missing all or most of your teeth you can still get implants to treat your tooth loss. 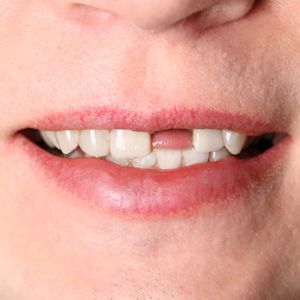 There are several systems available for replacing all or some missing teeth. One system (known as All-on-4) involves placing four implants along the entire jawbone from which to then attach dentures. This can be a great option for current denture wearers that aren’t satisfied with the way their new teeth fit or stay in place. If you are dealing with tooth loss in Norwich, CT, and want to find out if you are an ideal candidate for dental implants then there is no better time than the present. Call our office today to schedule a consultation with us. Norwich Aesthetic Dentistry will provide you with the restorative treatment you need.